Pitch Black Clearcoat 2018 Dodge Challenger SXT RWD 8-Speed Automatic 3.6L V6 24V VVT Vehicle is equipped with: Blacktop Package (Black Fuel Filler Door, Black Grille w/Bezel, Black-Edged Premium Floormats, Challenger Blacktop Grille Badge, Front Fog Lamps, Gloss Black I/P Cluster Trim Rings, Leather Performance Steering Wheel, and Rear Black Spoiler), Quick Order Package 21A SXT, Super Track Pak (Dodge Performance Pages, Performance Steering, Sport Suspension, and Steering Wheel Mounted Shift Control), 1-Yr SiriusXM Radio Service, 4-Wheel Disc Brakes, 6 Speakers, ABS brakes, Air Conditioning, Alloy wheels, AM/FM radio, Anti-whiplash front head restraints, Apple CarPlay, Auto-dimming Rear-View mirror, Automatic temperature control, Brake assist, Bumpers: body-color, Compass, Delay-off headlights, Driver door bin, Driver vanity mirror, Dual front impact airbags, Dual front side impact airbags, Electronic Stability Control, For More Info, Call 800-643-2112, Four wheel independent suspension, Front anti-roll bar, Front Bucket Seats, Front Center Armrest, Front dual zone A/C, Front reading lights, Fully automatic headlights, Google Android Auto, GPS Antenna Input, Heated door mirrors, Houndstooth Cloth Sport Seats, Illuminated entry, Integrated Voice Command w/Bluetooth, Leather Shift Knob, Low tire pressure warning, Media Hub (2 USB, AUX), Outside temperature display, Overhead airbag, Overhead console, Panic alarm, Passenger door bin, Passenger vanity mirror, Power door mirrors, Power driver seat, Power steering, Power windows, Radio data system, Radio: Uconnect 4 w/7" Display, Rear anti-roll bar, Rear reading lights, Rear seat center armrest, Rear window defroster, Remote keyless entry, Security system, SiriusXM Satellite Radio, Speed control, Speed-sensing steering, Split folding rear seat, Spoiler, Steering wheel mounted audio controls, Tachometer, Telescoping steering wheel, Tilt steering wheel, Traction control, Trip computer, USB Host Flip, Variably intermittent wipers, and Wheels: 20" x 8.0" Gloss Black Painted Aluminum. 19/30 City/Highway MPG At Peake Chrysler Dodge Jeep Ram FIAT we believe that success is a satisfied customer, and profit is a by-product of hard work. Blue Pearl 2019 Jeep Compass Latitude 4WD 9-Speed Automatic 2.4L I4 4WD. Vehicle is equipped with: Cold Weather Group, Popular Equipment Group (Auto-Dimming Rear-View Mirror and Power 8-Way Driver/Manual 6-Way Passenger Seats), 4WD, 3.833 Axle Ratio, 4-Wheel Disc Brakes, 6 Speakers, ABS brakes, Air Conditioning, Alloy wheels, AM/FM radio: SiriusXM, Anti-whiplash front head restraints, Automatic temperature control, Brake assist, Bumpers: body-color, Compass, Delay-off headlights, Driver door bin, Driver vanity mirror, Dual front impact airbags, Dual front side impact airbags, Electronic Stability Control, Four wheel independent suspension, Front anti-roll bar, Front Bucket Seats, Front Center Armrest w/Storage, Front dual zone A/C, Front fog lights, Front reading lights, Fully automatic headlights, Heated door mirrors, Illuminated entry, Knee airbag, Low tire pressure warning, Occupant sensing airbag, Outside temperature display, Overhead airbag, Overhead console, Panic alarm, Passenger door bin, Passenger vanity mirror, Power door mirrors, Power steering, Power windows, Premium Cloth/Vinyl Bucket Seats, Radio: Uconnect 4 w/7" Display, Rear anti-roll bar, Rear seat center armrest, Rear window defroster, Rear window wiper, Remote keyless entry, Roof rack: rails only, Speed control, Split folding rear seat, Spoiler, Steering wheel mounted audio controls, Tachometer, Telescoping steering wheel, Tilt steering wheel, Traction control, Trip computer, Variably intermittent wipers, and Wheels: 17" x 7.0" Silver Painted Aluminum. 22/30 City/Highway MPG At Peake Chrysler Dodge Jeep Ram FIAT we believe that success is a satisfied customer, and profit is a by-product of hard work. Blue 2018 Jeep Renegade Altitude 4WD 9-Speed 948TE Automatic 2.4L I4 Vehicle is equipped with: Cold Weather Group (All-Season Floor Mats, Heated Steering Wheel, and Windshield Wiper De-Icer), Passive Entry Remote Start Package (Passive Entry/Keyless Go), Quick Order Package 2EL Altitude (Black Accent Stitching, Black Day Light Opening Moldings, Gloss Black Rear Fascia Applique, and Vinyl Door Trim Panel), 3.734 Final Drive Ratio, 4.438 Final Drive Ratio, 4-Wheel Disc Brakes, 6 Speakers, ABS brakes, Air Conditioning, Alloy wheels, AM/FM radio: SiriusXM, Anti-whiplash front head restraints, Automatic temperature control, Brake assist, Compass, Delay-off headlights, Driver door bin, Driver vanity mirror, Dual front impact airbags, Dual front side impact airbags, Electronic Stability Control, Four wheel independent suspension, Front anti-roll bar, Front Bucket Seats, Front Center Armrest, Front dual zone A/C, Front fog lights, Front reading lights, Fully automatic headlights, Heated door mirrors, Illuminated entry, Knee airbag, Leather steering wheel, Low tire pressure warning, My Sky Power/Removable Sunroof, Normal Duty Suspension, Occupant sensing airbag, Outside temperature display, Overhead airbag, Overhead console, Panic alarm, Passenger door bin, Passenger vanity mirror, Power door mirrors, Power steering, Power windows, Premium Cloth Bucket Seats, Radio data system, Radio: Uconnect 4 w/7" Display, Rear anti-roll bar, Rear window defroster, Rear window wiper, Remote keyless entry, Roof rack: rails only, Speed control, Split folding rear seat, Spoiler, Steering wheel mounted audio controls, Tachometer, Telescoping steering wheel, Tilt steering wheel, Traction control, Trip computer, Variably intermittent wipers, and Voltmeter. 21/29 City/Highway MPG At Peake Chrysler Dodge Jeep Ram FIAT we believe that success is a satisfied customer, and profit is a by-product of hard work. Bright White 2019 Ram ProMaster City Tradesman SLT FWD 9-Speed 948TE Automatic 2.4L I4 MultiAir ABS brakes, Electronic Stability Control, Heated door mirrors, Illuminated entry, Low tire pressure warning, Remote keyless entry, Traction control. Vehicle is equipped with: ABS brakes, Electronic Stability Control, Heated door mirrors, Illuminated entry, Low tire pressure warning, Remote keyless entry, Traction control, 16" x 6.5" Steel Wheels w/Full Covers, 3.73 Axle Ratio, 4 Speakers, 5.0" Touchscreen Display, Air Conditioning, AM/FM radio, Block heater, Bodyside moldings, Brake assist, Bumpers: body-color, Delay-off headlights, Driver door bin, Driver vanity mirror, Driver's Seat Mounted Armrest, Dual front impact airbags, Dual front side impact airbags, Exterior Parking Camera Rear, Four wheel independent suspension, Front anti-roll bar, Front Bucket Seats, Front reading lights, Integrated Voice Command w/Bluetooth, Knee airbag, Leather steering wheel, Occupant sensing airbag, Outside temperature display, Overhead airbag, Overhead console, Passenger door bin, Passenger seat mounted armrest, Passenger vanity mirror, Power door mirrors, Power steering, Power windows, Premium Cloth Bucket Seats, Radio: Uconnect 3 w/5" Display, Rear anti-roll bar, Speed control, Steering wheel mounted audio controls, Suspension w/HD Stabilization, Tachometer, Telescoping steering wheel, Tilt steering wheel, Trip computer, and Variably intermittent wipers. 21/28 City/Highway MPG At Peake Chrysler Dodge Jeep Ram FIAT we believe that success is a satisfied customer, and profit is a by-product of hard work. Laser Blue 2019 Jeep Compass Latitude 4WD 9-Speed Automatic 2.4L I4 4WD. Vehicle is equipped with: Cold Weather Group, Popular Equipment Group (Auto-Dimming Rear-View Mirror and Power 8-Way Driver/Manual 6-Way Passenger Seats), 4WD, 1-Year SiriusXM Guardian Trial, 3.833 Axle Ratio, 4-Wheel Disc Brakes, 6 Speakers, 8.4" Touch Screen Display, ABS brakes, Air Conditioning, Alloy wheels, AM/FM radio: SiriusXM, Anti-whiplash front head restraints, Apple CarPlay, Automatic temperature control, Bluetooth® Streaming Audio, Brake assist, Bumpers: body-color, Compass, Delay-off headlights, Driver door bin, Driver vanity mirror, Dual front impact airbags, Dual front side impact airbags, Electronic Stability Control, Four wheel independent suspension, Front anti-roll bar, Front Bucket Seats, Front Center Armrest w/Storage, Front dual zone A/C, Front fog lights, Front reading lights, Fully automatic headlights, Google Android Auto, Heated door mirrors, Illuminated entry, Knee airbag, Low tire pressure warning, Occupant sensing airbag, Outside temperature display, Overhead airbag, Overhead console, Panic alarm, Passenger door bin, Passenger vanity mirror, Power door mirrors, Power steering, Power windows, Premium Cloth/Vinyl Bucket Seats, Radio: Uconnect 4 w/7" Display, Radio: Uconnect 4C Nav w/8.4" Display, Rear anti-roll bar, Rear seat center armrest, Rear window defroster, Rear window wiper, Remote keyless entry, Roof rack: rails only, SiriusXM Travel Link, Speed control, Split folding rear seat, Spoiler, Steering wheel mounted audio controls, Tachometer, Telescoping steering wheel, Tilt steering wheel, Traction control, Trip computer, Variably intermittent wipers, and Wheels: 17" x 7.0" Silver Painted Aluminum. 22/30 City/Highway MPG At Peake Chrysler Dodge Jeep Ram FIAT we believe that success is a satisfied customer, and profit is a by-product of hard work. Crystal Metallic 2019 Jeep Compass Altitude 4WD 9-Speed Automatic 2.4L I4 4WD, ABS brakes, Compass, Electronic Stability Control, Front dual zone A/C, Heated door mirrors, Illuminated entry, Low tire pressure warning, Remote keyless entry, Traction control. Vehicle is equipped with: 4WD, ABS brakes, Compass, Electronic Stability Control, Front dual zone A/C, Heated door mirrors, Illuminated entry, Low tire pressure warning, Remote keyless entry, Traction control, 3.833 Axle Ratio, 4-Wheel Disc Brakes, 6 Speakers, Air Conditioning, AM/FM radio: SiriusXM, Anti-whiplash front head restraints, Automatic temperature control, Brake assist, Bumpers: body-color, Delay-off headlights, Driver door bin, Driver vanity mirror, Dual front impact airbags, Dual front side impact airbags, Four wheel independent suspension, Front anti-roll bar, Front Bucket Seats, Front Center Armrest w/Storage, Front fog lights, Front reading lights, Fully automatic headlights, Knee airbag, Occupant sensing airbag, Outside temperature display, Overhead airbag, Overhead console, Panic alarm, Passenger door bin, Passenger vanity mirror, Power door mirrors, Power steering, Power windows, Premium Cloth/Vinyl Bucket Seats, Radio: Uconnect 4 w/7" Display, Rear anti-roll bar, Rear seat center armrest, Rear window defroster, Rear window wiper, Roof rack: rails only, Speed control, Split folding rear seat, Spoiler, Steering wheel mounted audio controls, Tachometer, Telescoping steering wheel, Tilt steering wheel, Trip computer, Variably intermittent wipers, and Wheels: 17" x 7.0" Silver Painted Aluminum. At Peake Chrysler Dodge Jeep Ram FIAT we believe that success is a satisfied customer, and profit is a by-product of hard work. Onyx Black 2019 Dodge Grand Caravan SE FWD 6-Speed Automatic 3.6L V6 Flex Fuel 24V VVT ABS brakes, Electronic Stability Control, Front dual zone A/C, Heated door mirrors, Illuminated entry, Low tire pressure warning, ParkView Rear Back-Up Camera, Passenger door bin, Remote keyless entry, Traction control. Vehicle is equipped with: ABS brakes, Electronic Stability Control, Front dual zone A/C, Heated door mirrors, Illuminated entry, Low tire pressure warning, ParkView Rear Back-Up Camera, Passenger door bin, Remote keyless entry, Traction control, 17" Wheel Covers, 2nd Row Bench w/Rear Stow 'N Go 60/40, 3.16 Axle Ratio, 3rd row seats: split-bench, 40GB Hard Drive w/28GB Available, 4-Wheel Disc Brakes, 6 Speakers, 6.5" Touchscreen Display, Air Conditioning, AM/FM radio, Anti-whiplash front head restraints, Audio Jack Input for Mobile Devices, Auto-dimming Rear-View mirror, Bodyside moldings, Brake assist, Bumpers: body-color, CD player, Cloth Low-Back Bucket Seats, Delay-off headlights, Driver door bin, Driver vanity mirror, Driver's Seat Mounted Armrest, Dual front impact airbags, Dual front side impact airbags, Front anti-roll bar, Front Bucket Seats, Front reading lights, Front wheel independent suspension, Knee airbag, Occupant sensing airbag, Outside temperature display, Overhead airbag, Overhead console, Panic alarm, Passenger seat mounted armrest, Passenger vanity mirror, Power door mirrors, Power steering, Power windows, Radio: 430, Rear air conditioning, Rear Air Conditioning w/Heater, Rear window defroster, Rear window wiper, Reclining 3rd row seat, Speed control, Spoiler, Steering Wheel Mounted Audio Controls, Steering wheel mounted audio controls, Tachometer, Telescoping steering wheel, Tilt steering wheel, Touring Suspension, Trip computer, and Variably intermittent wipers. At Peake Chrysler Dodge Jeep Ram FIAT we believe that success is a satisfied customer, and profit is a by-product of hard work. Blue 2019 Jeep Cherokee Latitude Plus 4WD 9-Speed 948TE Automatic 2.4L I4 Vehicle is equipped with: Cold Weather Group, Quick Order Package 2BD, 3.734 Axle Ratio, 4-Wheel Disc Brakes, 6 Speakers, ABS brakes, Air Conditioning, Alloy wheels, AM/FM radio: SiriusXM, Anti-whiplash front head restraints, AutoStick Automatic Transmission, Auxiliary Transmission Oil Cooler, Blind spot sensor: Blind Spot Monitoring System warning, Brake assist, Bumpers: body-color, Cloth/Premium Vinyl Bucket Seats, Compass, Delay-off headlights, Driver door bin, Driver vanity mirror, Dual front impact airbags, Dual front side impact airbags, Electronic Stability Control, Four wheel independent suspension, Front anti-roll bar, Front Bucket Seats, Front Center Armrest, Front fog lights, Front reading lights, Fully automatic headlights, Heated door mirrors, Illuminated entry, Integrated Voice Command w/Bluetooth, Knee airbag, Leather Shift Knob, Low tire pressure warning, Normal Duty Suspension, Occupant sensing airbag, Outside temperature display, Overhead airbag, Overhead console, Panic alarm, Passenger door bin, Passenger vanity mirror, Power door mirrors, Power driver seat, Power steering, Power windows, Radio data system, Radio: Uconnect 4 w/7" Display, Rear anti-roll bar, Rear Parking Sensors, Rear reading lights, Rear seat center armrest, Rear side impact airbag, Rear window defroster, Rear window wiper, Remote keyless entry, Roof rack: rails only, SiriusXM Satellite Radio, Speed control, Speed-sensing steering, Split folding rear seat, Spoiler, Steering wheel mounted audio controls, Stop-Start Multiple VSM System, Tachometer, Telescoping steering wheel, Tilt steering wheel, Traction control, Trip computer, Turn signal indicator mirrors, USB Host Flip, Variably intermittent wipers, and Voltmeter. 21/29 City/Highway MPG At Peake Chrysler Dodge Jeep Ram FIAT we believe that success is a satisfied customer, and profit is a by-product of hard work. Diamond Black 2019 Jeep Cherokee Latitude Plus 4WD 9-Speed 948TE Automatic 2.4L I4 Vehicle is equipped with: Cold Weather Group, Quick Order Package 2BD, 3.734 Axle Ratio, 4-Wheel Disc Brakes, 6 Speakers, ABS brakes, Air Conditioning, Alloy wheels, AM/FM radio: SiriusXM, Anti-whiplash front head restraints, AutoStick Automatic Transmission, Auxiliary Transmission Oil Cooler, Blind spot sensor: Blind Spot Monitoring System warning, Brake assist, Bumpers: body-color, Cloth/Premium Vinyl Bucket Seats, Compass, Delay-off headlights, Driver door bin, Driver vanity mirror, Dual front impact airbags, Dual front side impact airbags, Electronic Stability Control, Four wheel independent suspension, Front anti-roll bar, Front Bucket Seats, Front Center Armrest, Front fog lights, Front reading lights, Fully automatic headlights, Heated door mirrors, Illuminated entry, Integrated Voice Command w/Bluetooth, Knee airbag, Leather Shift Knob, Low tire pressure warning, Normal Duty Suspension, Occupant sensing airbag, Outside temperature display, Overhead airbag, Overhead console, Panic alarm, Passenger door bin, Passenger vanity mirror, Power door mirrors, Power driver seat, Power steering, Power windows, Radio data system, Radio: Uconnect 4 w/7" Display, Rear anti-roll bar, Rear Parking Sensors, Rear reading lights, Rear seat center armrest, Rear side impact airbag, Rear window defroster, Rear window wiper, Remote keyless entry, Roof rack: rails only, SiriusXM Satellite Radio, Speed control, Speed-sensing steering, Split folding rear seat, Spoiler, Steering wheel mounted audio controls, Stop-Start Multiple VSM System, Tachometer, Telescoping steering wheel, Tilt steering wheel, Traction control, Trip computer, Turn signal indicator mirrors, USB Host Flip, Variably intermittent wipers, and Voltmeter. 21/29 City/Highway MPG At Peake Chrysler Dodge Jeep Ram FIAT we believe that success is a satisfied customer, and profit is a by-product of hard work. Velvet 2019 Jeep Cherokee Latitude Plus 4WD 9-Speed 948TE Automatic 2.4L I4 Vehicle is equipped with: Cold Weather Group (Remote Start System), Comfort/Convenience Group, Quick Order Package 2BD, 3.734 Axle Ratio, 4-Wheel Disc Brakes, 6 Speakers, ABS brakes, Air Conditioning, Alloy wheels, AM/FM radio: SiriusXM, Anti-whiplash front head restraints, AutoStick Automatic Transmission, Auxiliary Transmission Oil Cooler, Blind spot sensor: Blind Spot Monitoring System warning, Brake assist, Bumpers: body-color, Cloth/Premium Vinyl Bucket Seats, Compass, Delay-off headlights, Driver door bin, Driver vanity mirror, Dual front impact airbags, Dual front side impact airbags, Electronic Stability Control, Four wheel independent suspension, Front anti-roll bar, Front Bucket Seats, Front Center Armrest, Front fog lights, Front reading lights, Fully automatic headlights, Heated door mirrors, Illuminated entry, Integrated Voice Command w/Bluetooth, Knee airbag, Leather Shift Knob, Low tire pressure warning, Normal Duty Suspension, Occupant sensing airbag, Outside temperature display, Overhead airbag, Overhead console, Panic alarm, Passenger door bin, Passenger vanity mirror, Power door mirrors, Power driver seat, Power Front/Fixed Rear Full Sunroof, Power steering, Power windows, Radio data system, Radio: Uconnect 4 w/7" Display, Rear anti-roll bar, Rear Parking Sensors, Rear reading lights, Rear seat center armrest, Rear side impact airbag, Rear window defroster, Rear window wiper, Remote keyless entry, Roof rack: rails only, SiriusXM Satellite Radio, Speed control, Speed-sensing steering, Split folding rear seat, Spoiler, Steering wheel mounted audio controls, Stop-Start Multiple VSM System, Tachometer, Telescoping steering wheel, Tilt steering wheel, Traction control, Trip computer, Turn signal indicator mirrors, USB Host Flip, Variably intermittent wipers, and Voltmeter. 21/29 City/Highway MPG At Peake Chrysler Dodge Jeep Ram FIAT we believe that success is a satisfied customer, and profit is a by-product of hard work. Orange 2018 Jeep Compass Trailhawk 4WD 9-Speed Automatic 2.4L I4 4WD. Vehicle is equipped with: Leather Interior Group (4-Way Power Lumbar Adjust, Auto-Dimming Rear-View Mirror, Heated Front Seats, Heated Steering Wheel, Leather w/Perforated Insert Bucket Seats, Leather Wrapped Steering Wheel, Power 8-Way Driver/Manual 6-Way Passenger Seats, Remote Start System, and Windshield Wiper De-Icer), Navigation Group (Radio: Uconnect 4C Nav w/8.4" Display), Quick Order Package 27E, 4WD, 4.334 Axle Ratio, 4-Wheel Disc Brakes, 6 Speakers, ABS brakes, Air Conditioning, AM/FM radio: SiriusXM, Anti-whiplash front head restraints, Automatic temperature control, Brake assist, Bumpers: body-color, Compass, Delay-off headlights, Driver door bin, Driver vanity mirror, Dual front impact airbags, Dual front side impact airbags, Electronic Stability Control, Four wheel independent suspension, Front anti-roll bar, Front Bucket Seats, Front Center Armrest w/Storage, Front dual zone A/C, Front fog lights, Front reading lights, Fully automatic headlights, Heated door mirrors, Illuminated entry, Knee airbag, Leather Shift Knob, Low tire pressure warning, Occupant sensing airbag, Outside temperature display, Overhead airbag, Overhead console, Panic alarm, Passenger door bin, Passenger vanity mirror, Power door mirrors, Power Front/Fixed Rear Full Sunroof, Power steering, Power windows, Premium Cloth/Leather Trim Bucket Seats, Radio: Uconnect 4 w/8.4" Display, Rear anti-roll bar, Rear seat center armrest, Rear window defroster, Rear window wiper, Remote keyless entry, Roof rack: rails only, Speed control, Split folding rear seat, Spoiler, Steering wheel mounted audio controls, Tachometer, Telescoping steering wheel, Tilt steering wheel, Traction control, Trip computer, Turn signal indicator mirrors, Variably intermittent wipers, and Wheels: 17" x 6.5" Polished/Black Pockets Aluminum. 22/30 City/Highway MPG At Peake Chrysler Dodge Jeep Ram FIAT we believe that success is a satisfied customer, and profit is a by-product of hard work. Velvet 2019 Jeep Cherokee Altitude 4WD 9-Speed 948TE Automatic 2.4L I4 Vehicle is equipped with: Cold Weather Group (Remote Start System), Comfort/Convenience Group, Quick Order Package 2BN Altitude (Gloss Black Grille Surrounds, Gloss Black Side Roof Rails, and Wheels: 18" x 7" Gloss Black 5-Spoke Aluminum), 3.734 Axle Ratio, 4-Wheel Disc Brakes, 6 Speakers, ABS brakes, Air Conditioning, Alloy wheels, AM/FM radio: SiriusXM, Anti-whiplash front head restraints, AutoStick Automatic Transmission, Auxiliary Transmission Oil Cooler, Blind spot sensor: Blind Spot Monitoring System warning, Brake assist, Bumpers: body-color, Cloth/Premium Vinyl Bucket Seats, Compass, Delay-off headlights, Driver door bin, Driver vanity mirror, Dual front impact airbags, Dual front side impact airbags, Electronic Stability Control, Four wheel independent suspension, Front anti-roll bar, Front Bucket Seats, Front Center Armrest, Front fog lights, Front reading lights, Fully automatic headlights, Heated door mirrors, Illuminated entry, Integrated Voice Command w/Bluetooth, Knee airbag, Leather Shift Knob, Low tire pressure warning, Normal Duty Suspension, Occupant sensing airbag, Outside temperature display, Overhead airbag, Overhead console, Panic alarm, Passenger door bin, Passenger vanity mirror, Power door mirrors, Power driver seat, Power steering, Power windows, Radio data system, Radio: Uconnect 4 w/7" Display, Rear anti-roll bar, Rear Parking Sensors, Rear reading lights, Rear seat center armrest, Rear side impact airbag, Rear window defroster, Rear window wiper, Remote keyless entry, Roof rack: rails only, SiriusXM Satellite Radio, Speed control, Speed-sensing steering, Split folding rear seat, Spoiler, Steering wheel mounted audio controls, Stop-Start Multiple VSM System, Tachometer, Telescoping steering wheel, Tilt steering wheel, Traction control, Trip computer, Turn signal indicator mirrors, USB Host Flip, Variably intermittent wipers, and Voltmeter. 21/29 City/Highway MPG At Peake Chrysler Dodge Jeep Ram FIAT we believe that success is a satisfied customer, and profit is a by-product of hard work. Pearl White 2019 Jeep Compass Limited 4WD 9-Speed Automatic 2.4L I4 4WD. Vehicle is equipped with: 4WD, 1-Year SiriusXM Guardian Trial, 3.73 Axle Ratio, 4-Wheel Disc Brakes, 6 Speakers, ABS brakes, Air Conditioning, Alloy wheels, AM/FM radio: SiriusXM, Anti-whiplash front head restraints, Auto-dimming Rear-View mirror, Automatic temperature control, Brake assist, Bumpers: body-color, Compass, Delay-off headlights, Driver door bin, Driver vanity mirror, Dual front impact airbags, Dual front side impact airbags, Electronic Stability Control, Four wheel independent suspension, Front anti-roll bar, Front Bucket Seats, Front Center Armrest w/Storage, Front dual zone A/C, Front fog lights, Front reading lights, Fully automatic headlights, Google Android Auto, GPS Antenna Input, GPS Navigation, Heated door mirrors, Heated front seats, Heated steering wheel, Illuminated entry, Knee airbag, Leather Shift Knob, Leather Trimmed Bucket Seats, Low tire pressure warning, Media Hub (USB, AUX), Occupant sensing airbag, Outside temperature display, Overhead airbag, Overhead console, Panic alarm, Passenger door bin, Passenger vanity mirror, Power door mirrors, Power driver seat, Power Front/Fixed Rear Full Sunroof, Power steering, Power windows, Radio: Uconnect 4 w/8.4" Display, Radio: Uconnect 4C Nav w/8.4" Display, Rear anti-roll bar, Rear seat center armrest, Rear window defroster, Rear window wiper, Remote keyless entry, Roof rack: rails only, Security system, SiriusXM Traffic Plus, SiriusXM Travel Link, Speed control, Split folding rear seat, Spoiler, Steering wheel mounted audio controls, Tachometer, Telescoping steering wheel, Tilt steering wheel, Traction control, Trip computer, Turn signal indicator mirrors, USB Host Flip, Variably intermittent wipers, and Wheels: 18" x 7.0" Polished/Gray Pockets Aluminum. 22/30 City/Highway MPG At Peake Chrysler Dodge Jeep Ram FIAT we believe that success is a satisfied customer, and profit is a by-product of hard work. Deep Red Metallic 2019 Ram ProMaster City SLT FWD 9-Speed 948TE Automatic 2.4L I4 MultiAir Vehicle is equipped with: 16" Wheel Covers, 3.73 Axle Ratio, 4 Speakers, 5" Touchscreen, ABS brakes, Air Conditioning, AM/FM radio, Block heater, Brake assist, Bumpers: body-colour, Delay-off headlights, Driver door bin, Driver vanity mirror, Driver's Seat Mounted Armrest, Dual front impact airbags, Dual front side impact airbags, Electronic Stability Control, Exterior Parking Camera Rear, Four wheel independent suspension, Front anti-roll bar, Front Bucket Seats, Front reading lights, Hands-Free Comm w/Bluetooth, Heated door mirrors, Illuminated entry, Knee airbag, Leather steering wheel, Low tire pressure warning, Occupant sensing airbag, Outside temperature display, Overhead airbag, Overhead console, Park-Sense Rear Park Assist System, Passenger door bin, Passenger seat mounted armrest, Passenger vanity mirror, Power door mirrors, Power steering, Power windows, Premium Cloth Front Bucket Seats, Radio: Uconnect 3 w/5" Display, Rear anti-roll bar, Remote keyless entry, Speed control, Steering wheel mounted audio controls, Suspension w/HD Stabilization, Tachometer, Telescoping steering wheel, Tilt steering wheel, Traction control, Trip computer, Variably intermittent wipers, and Wheels: 16" x 6.5" Black Steel w/Covers. 21/28 City/Highway MPG At Peake Chrysler Dodge Jeep Ram FIAT we believe that success is a satisfied customer, and profit is a by-product of hard work. Olive Green 2019 Jeep Cherokee Latitude Plus 4WD 9-Speed 948TE Automatic 2.4L I4 21/29 City/Highway MPG At Peake Chrysler Dodge Jeep Ram FIAT we believe that success is a satisfied customer, and profit is a by-product of hard work. Plum 2019 Dodge Charger SXT AWD 8-Speed Automatic 3.6L V6 24V VVT AWD, Black Cloth. Vehicle is equipped with: Blacktop Package (AWD Rhombi Black Badge, Black 1-Piece Performance Spoiler, Dodge Grille Badge, Gloss Black I/P Cluster Trim Rings, Satin Black Charger Decklid Badge, and Wheels: 19" x 7.5" Black Noise Painted), Cold Weather Package (Heated Front Seats and Heated Steering Wheel), Quick Order Package 28H, AWD, Black Cloth, 4-Wheel Disc Brakes, 6 Speakers, ABS brakes, Air Conditioning, Alloy wheels, AM/FM radio: SiriusXM, Anti-whiplash front head restraints, Auto-dimming Rear-View mirror, Automatic temperature control, Brake assist, Bumpers: body-color, Cloth Sport Seat, Compass, Delay-off headlights, Driver & Passenger Lower LED Lamps, Driver door bin, Driver vanity mirror, Dual front impact airbags, Dual front side impact airbags, Electronic Stability Control, Emergency communication system: SiriusXM Guardian, Four wheel independent suspension, Front anti-roll bar, Front Bucket Seats, Front Center Armrest, Front dual zone A/C, Front fog lights, Front reading lights, Fully automatic headlights, Heated door mirrors, Illuminated entry, Knee airbag, Leather Shift Knob, Low tire pressure warning, Occupant sensing airbag, Outside temperature display, Overhead airbag, Overhead console, Panic alarm, Passenger door bin, Passenger vanity mirror, Power 4-Way Driver Lumbar Adjust, Power 8-Way Driver Seat, Power door mirrors, Power driver seat, Power steering, Power windows, Radio data system, Radio: Uconnect 4C w/8.4" Display, Rear anti-roll bar, Rear Armrest w/Cupholder Seat, Rear Parking Sensors, Rear reading lights, Rear seat center armrest, Rear window defroster, Remote keyless entry, Speed control, Speed-Sensitive Wipers, Split folding rear seat, Spoiler, Sport steering wheel, Steering wheel mounted audio controls, Tachometer, Telescoping steering wheel, Tilt steering wheel, Traction control, Trip computer, and Variably intermittent wipers. 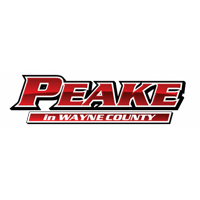 18/27 City/Highway MPG At Peake Chrysler Dodge Jeep Ram FIAT we believe that success is a satisfied customer, and profit is a by-product of hard work. Light Brownstone Pearlcoat 2019 Jeep Cherokee Limited 4WD 9-Speed 948TE Automatic 3.2L V6 Vehicle is equipped with: Quick Order Package 26G, 10 Speakers, 3.251 Axle Ratio, 4-Wheel Disc Brakes, 8.4" Touchscreen Display, ABS brakes, Air Conditioning, Alloy wheels, AM/FM radio: SiriusXM, Anti-whiplash front head restraints, Apple CarPlay, Audio memory, Auto-dimming Rear-View mirror, Automatic temperature control, AutoStick Automatic Transmission, Auxiliary Transmission Oil Cooler, Blind spot sensor: Blind Spot Monitoring System warning, Brake assist, Bumpers: body-color, Compass, Delay-off headlights, Driver door bin, Driver vanity mirror, Dual Bright Exhaust Tips, Dual front impact airbags, Dual front side impact airbags, Electronic Stability Control, Engine Oil Cooler, Exterior Mirrors Courtesy Lamps, Exterior Mirrors w/Supplemental Signals, Four wheel independent suspension, Front anti-roll bar, Front Bucket Seats, Front Center Armrest, Front dual zone A/C, Front fog lights, Front License Plate Bracket, Front reading lights, Fully automatic headlights, Garage door transmitter, Google Android Auto, GPS Antenna Input, Heated door mirrors, Heated front seats, Heated steering wheel, Illuminated entry, Integrated Voice Command w/Bluetooth, Knee airbag, Leather Shift Knob, Low tire pressure warning, Memory seat, Normal Duty Suspension, Occupant sensing airbag, Outside temperature display, Overhead airbag, Overhead console, Panic alarm, Passenger door bin, Passenger vanity mirror, Power door mirrors, Power driver seat, Power Liftgate, Power passenger seat, Power steering, Power windows, Premium Leather Trimmed Bucket Seats, Radio data system, Radio: Uconnect 4 w/8.4" Display, Rear anti-roll bar, Rear Parking Sensors, Rear reading lights, Rear seat center armrest, Rear side impact airbag, Rear window defroster, Rear window wiper, Remote keyless entry, Roof rack: rails only, Security system, SiriusXM Satellite Radio, Speed control, Speed-sensing steering, Split folding rear seat, Spoiler, Steering wheel mounted audio controls, Stop-Start Multiple VSM System, Tachometer, Telescoping steering wheel, Tilt steering wheel, Traction control, Trip computer, Turn signal indicator mirrors, USB Host Flip, Variably intermittent wipers, Voltmeter, and Wheels: 18" x 7" Polished/Painted Aluminum. 19/27 City/Highway MPG At Peake Chrysler Dodge Jeep Ram FIAT we believe that success is a satisfied customer, and profit is a by-product of hard work. New vehicle pricing includes all offers and incentives. Tax, Title and Tags not included in vehicle prices shown and must be paid by the purchaser. While great effort is made to ensure the accuracy of the information on this site, errors do occur so please verify information with a customer service rep. This is easily done by calling us at (315) 483-6916 or by visiting us at the dealership.